I simply could not believe my eyes when I saw McDonald's, Sarojini Nagar outlet still running. My all-time favourite at McDonald's is their Paneer Spicy Wrap and their Pizza McPuff. 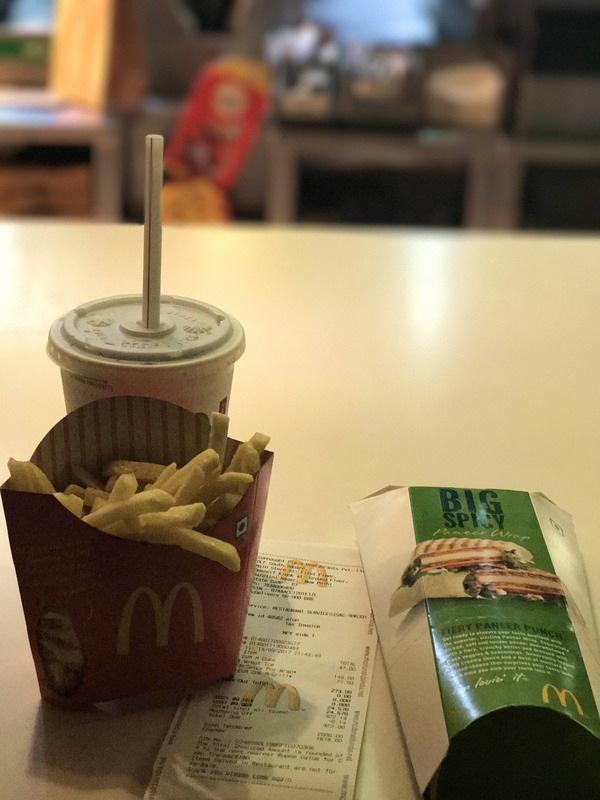 McDonald's is one fast food brand that I've grown up to - and it was more than a satisfying meal after weeks and weeks of craving! Atleast McDonald's should promote the outlets that are still operating in Delhi-NCR region. Also, I've heard that the outlet in Connaught Place and the one at Nehru Place is still functional. 17-24, Grandlay Cinema Complex, Maulana Mohammad Ali Jauhar Marg, New Friends Colony, New Delhi.